Step into our virtual gallery to view a sampling of our completed kitchen, bath, and commercial projects. 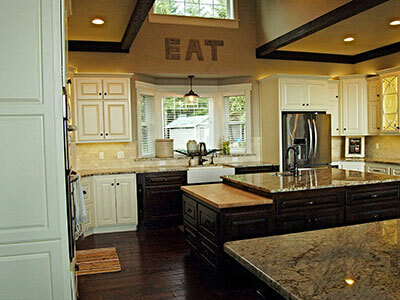 Browse our Facebook Page for additional project photos and design inspiration. 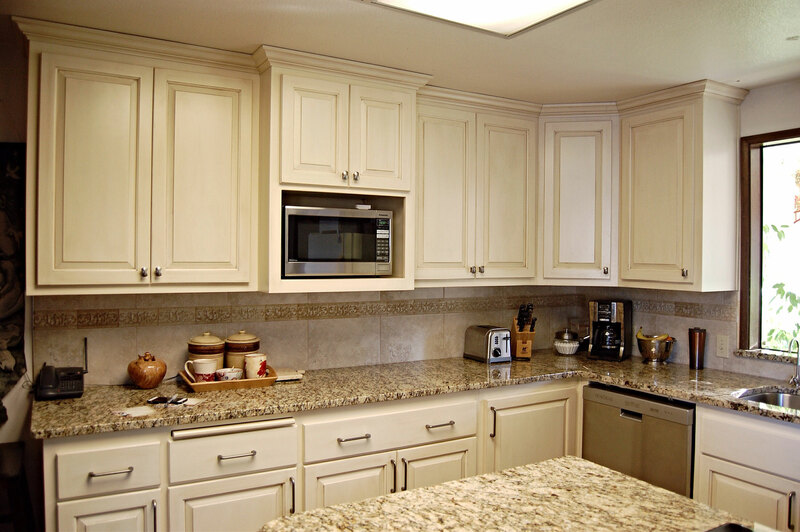 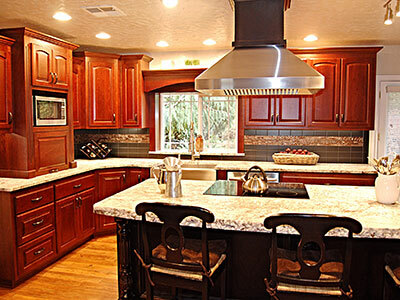 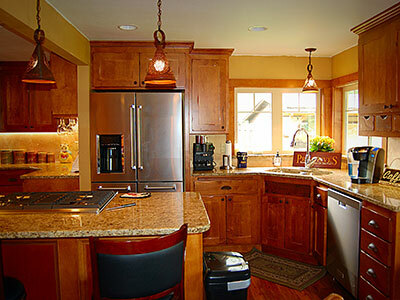 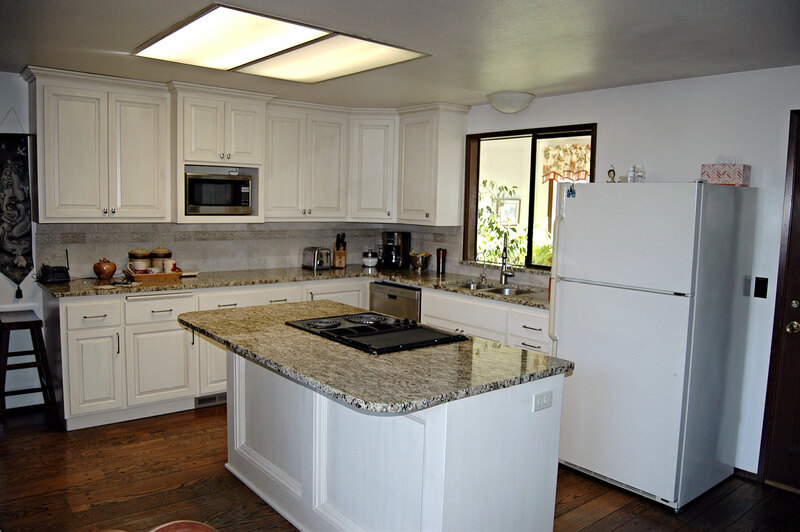 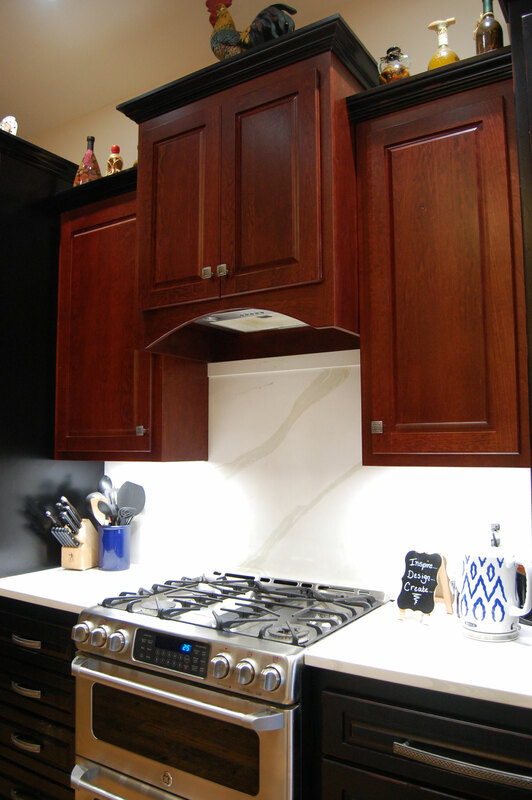 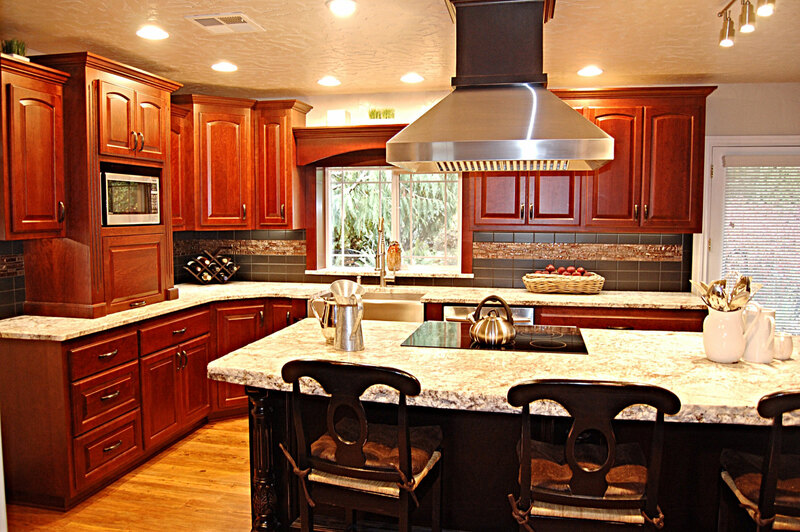 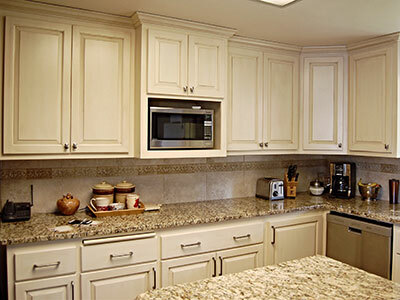 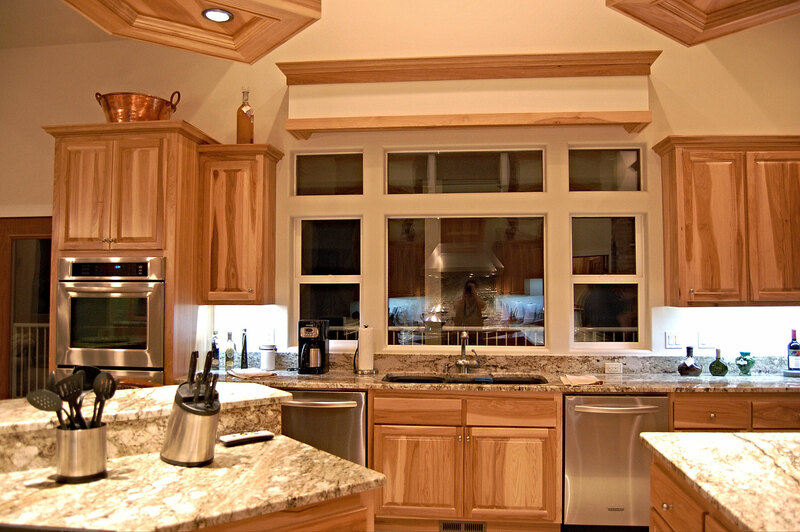 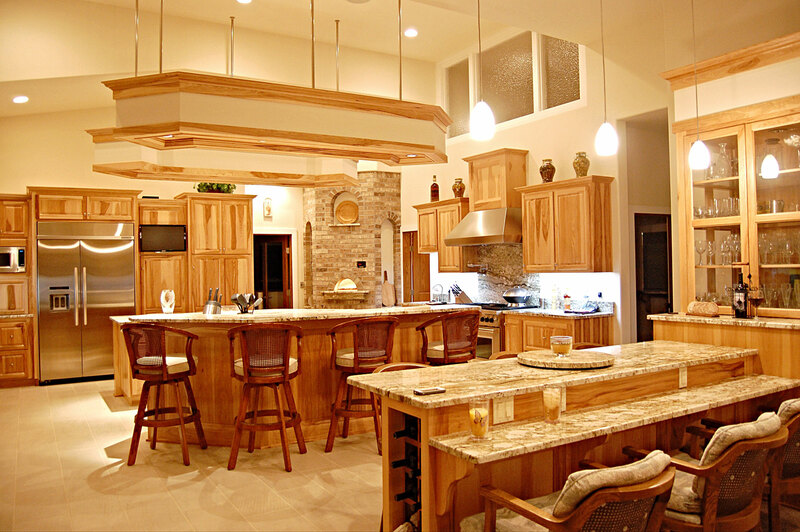 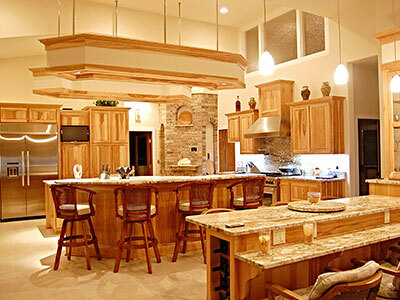 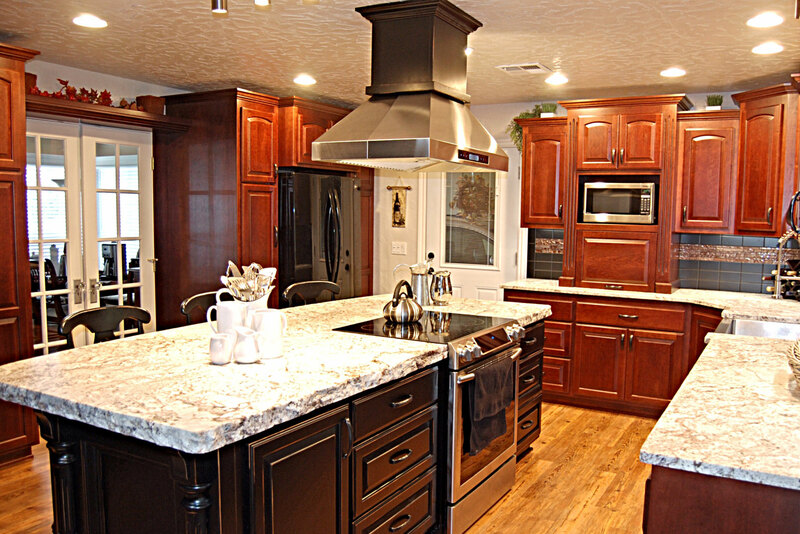 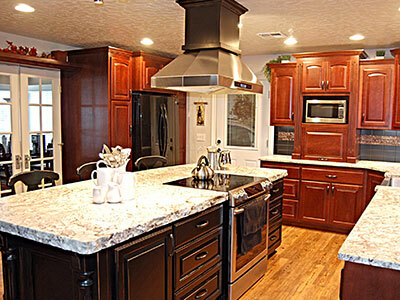 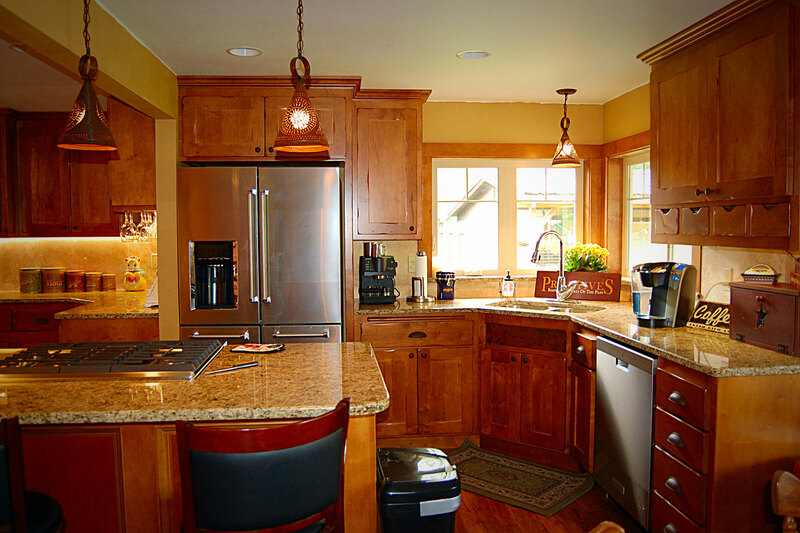 We understand that your kitchen is at the core of your family’s home life. 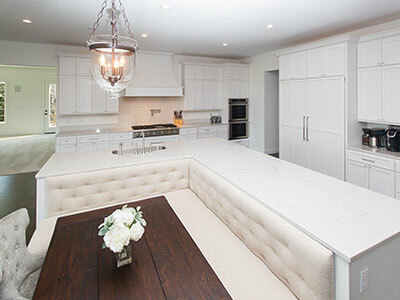 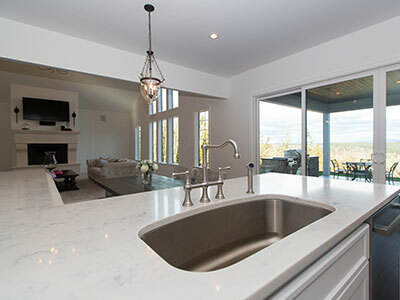 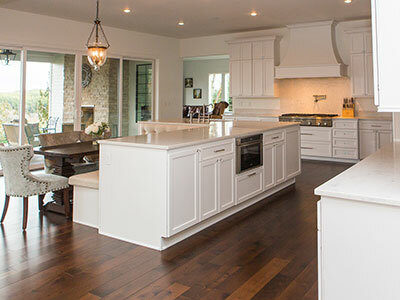 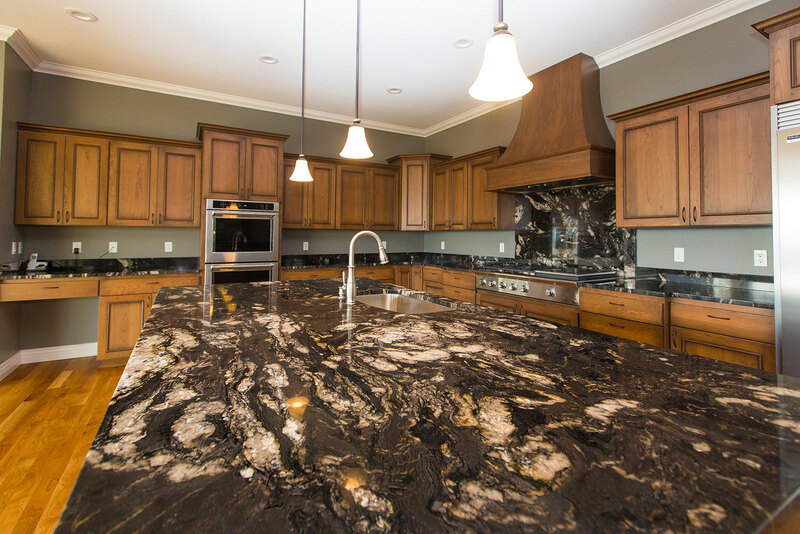 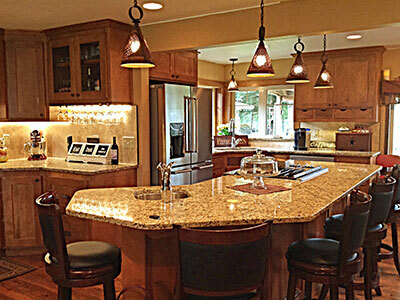 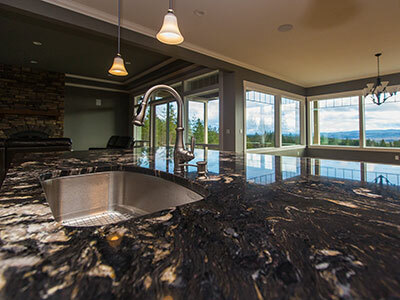 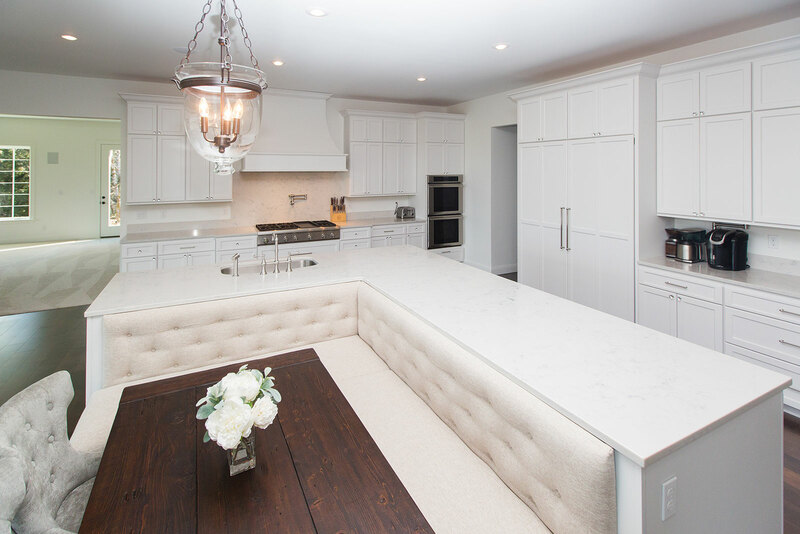 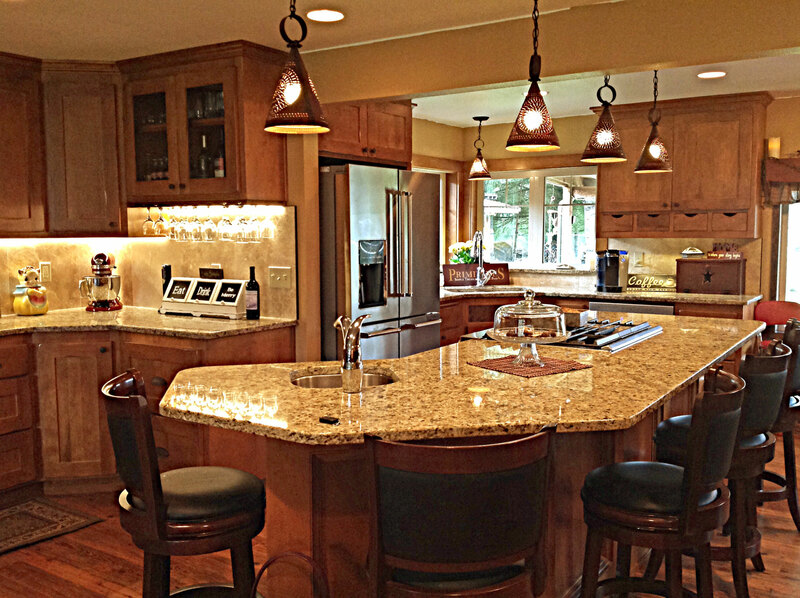 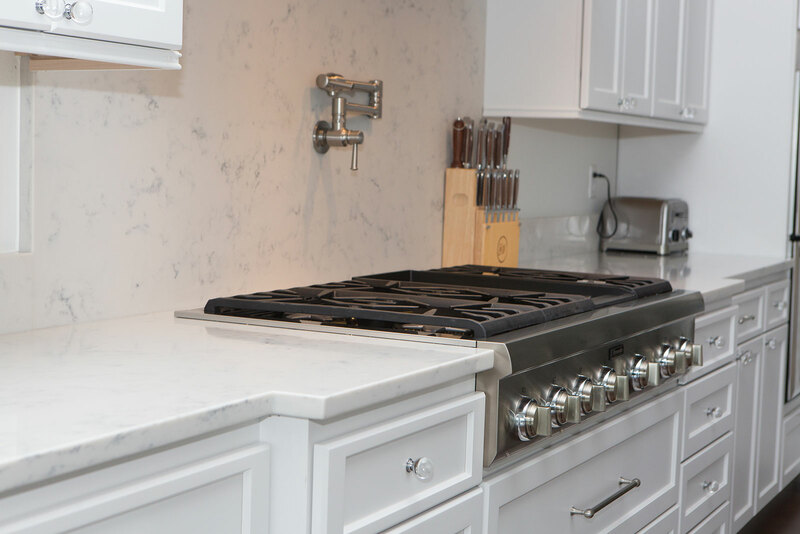 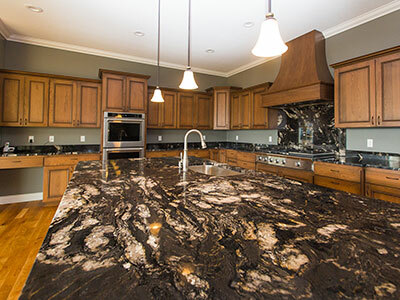 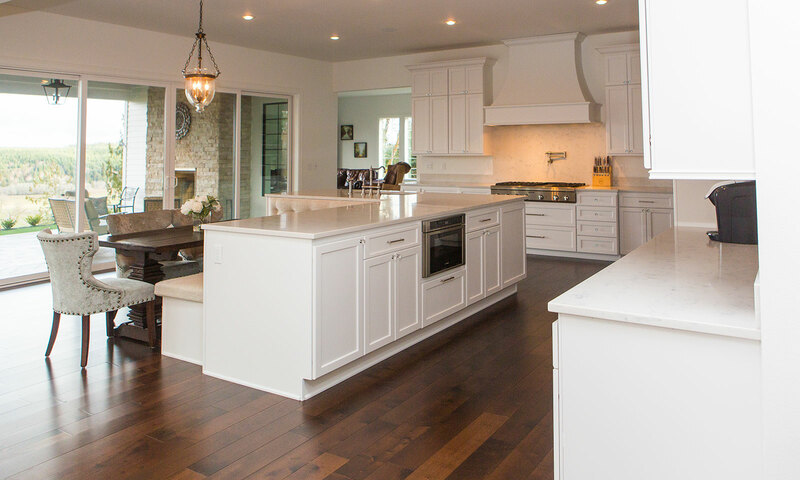 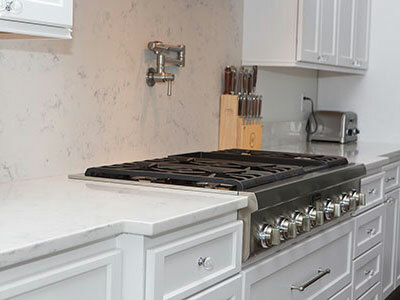 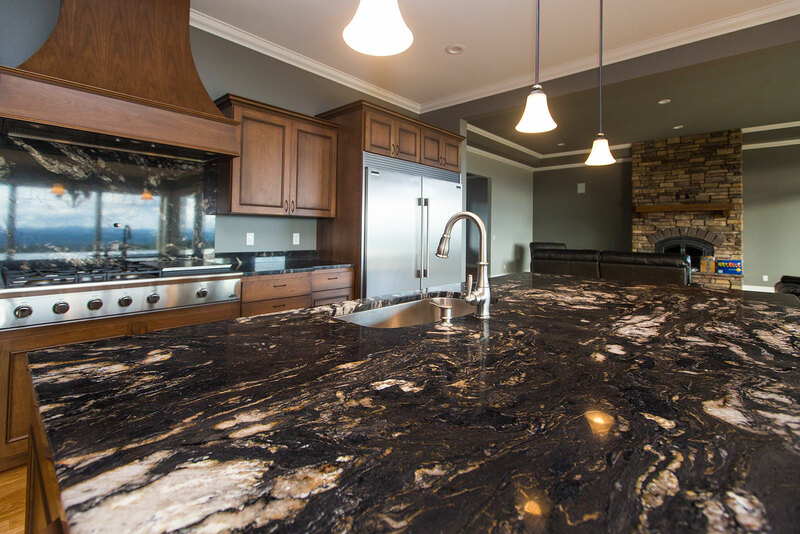 From traditional countertop layouts to islands fit for a gourmet chef, let Lifetime Granite help you create a comfortable space where you can cook, celebrate, and recharge. 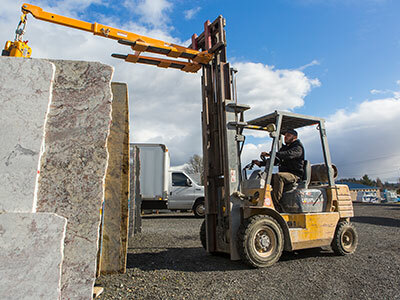 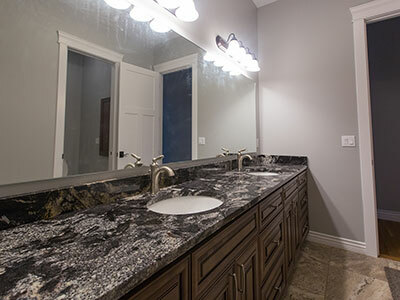 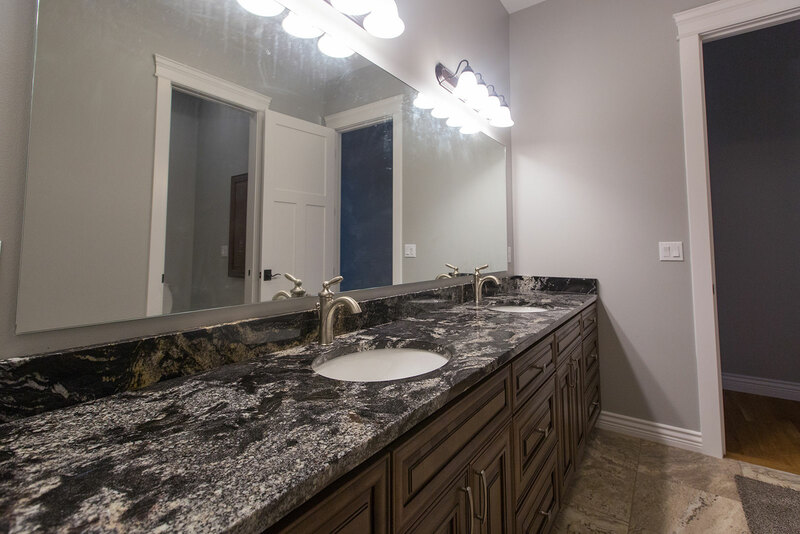 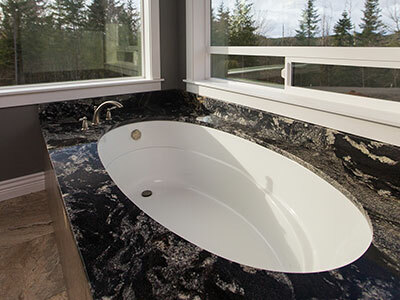 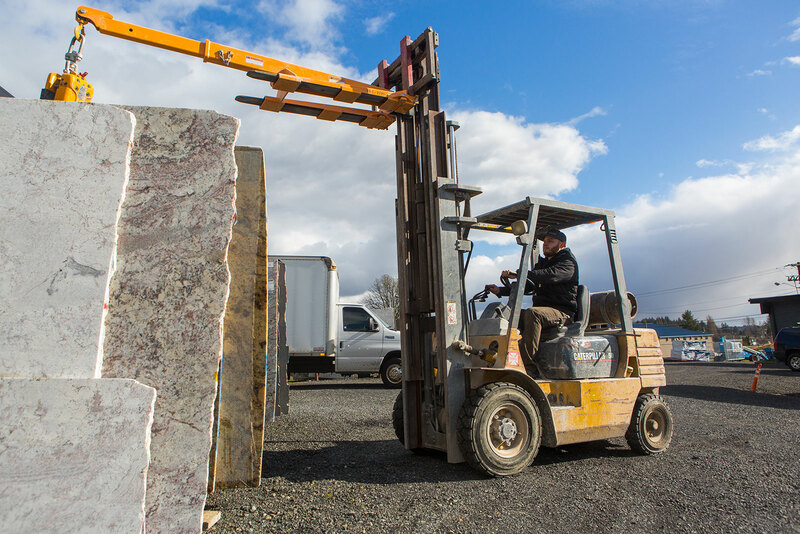 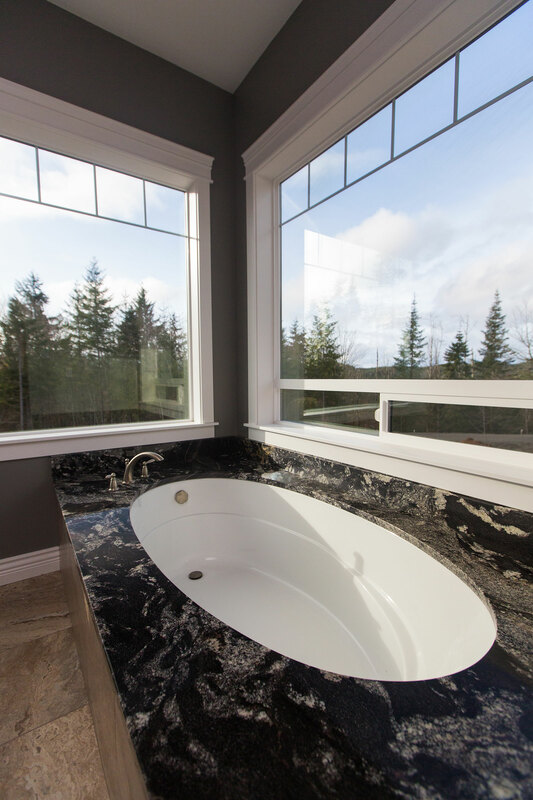 In addition to classic vanity tops, Lifetime Granite can also fabricate a granite tub deck or quartz shower surround to further transform your bathroom into a luxurious space. 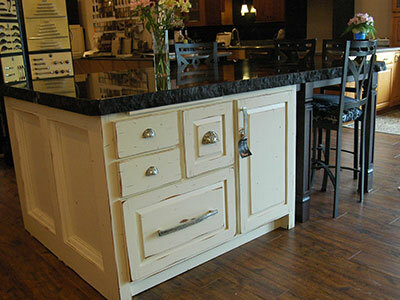 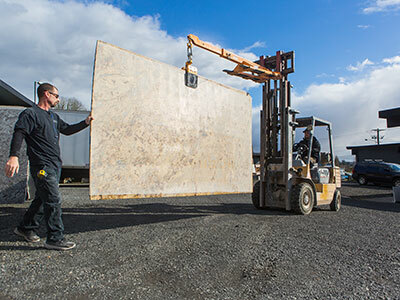 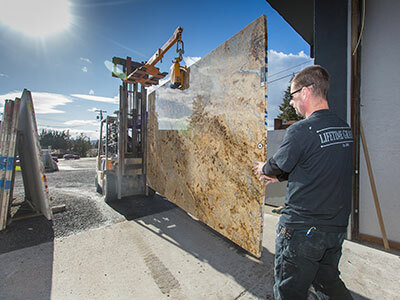 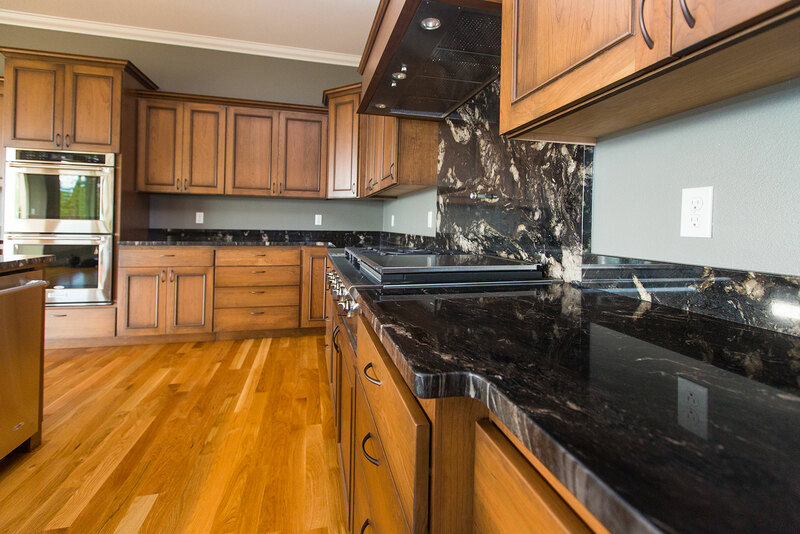 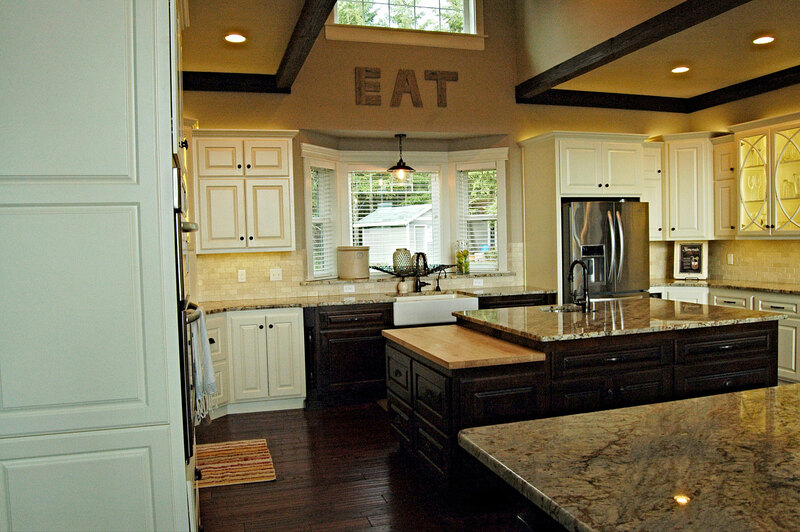 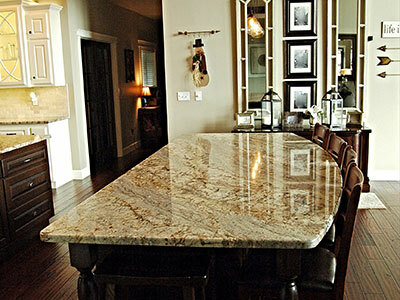 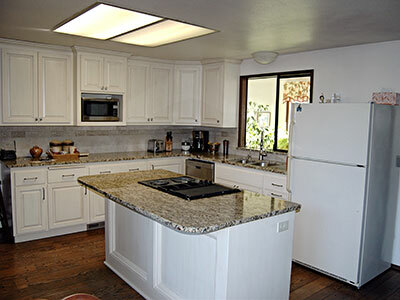 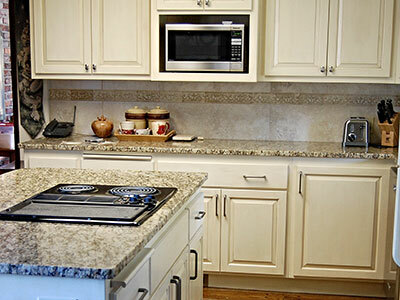 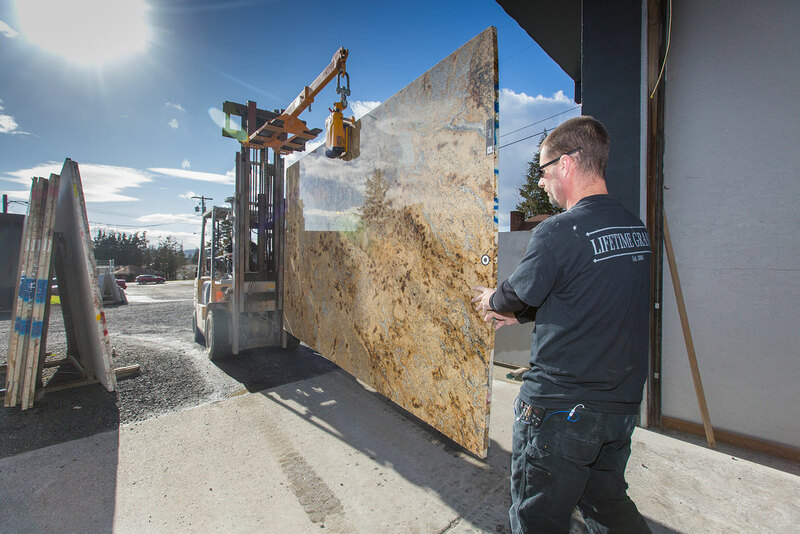 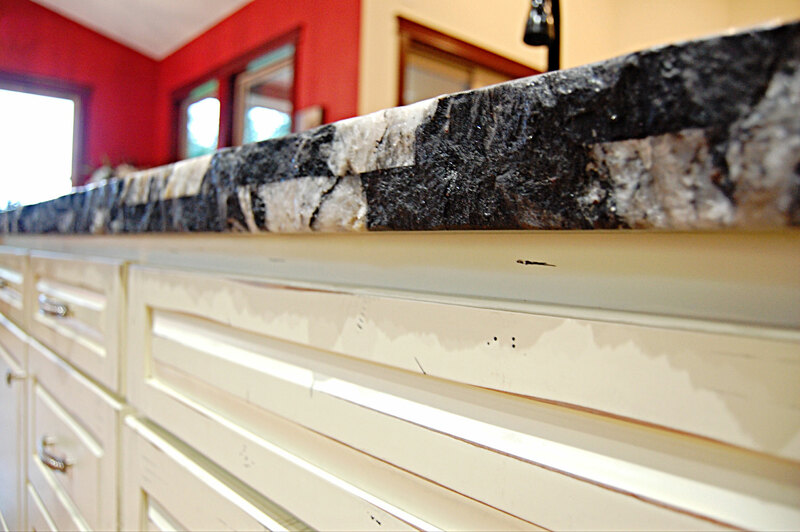 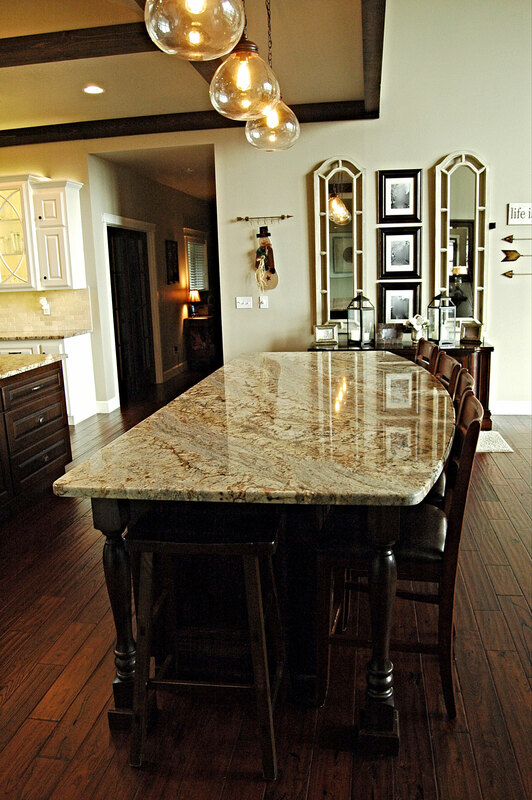 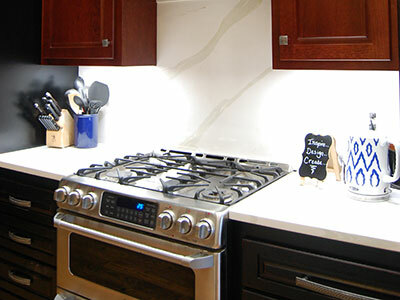 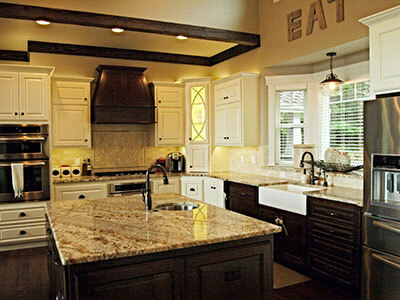 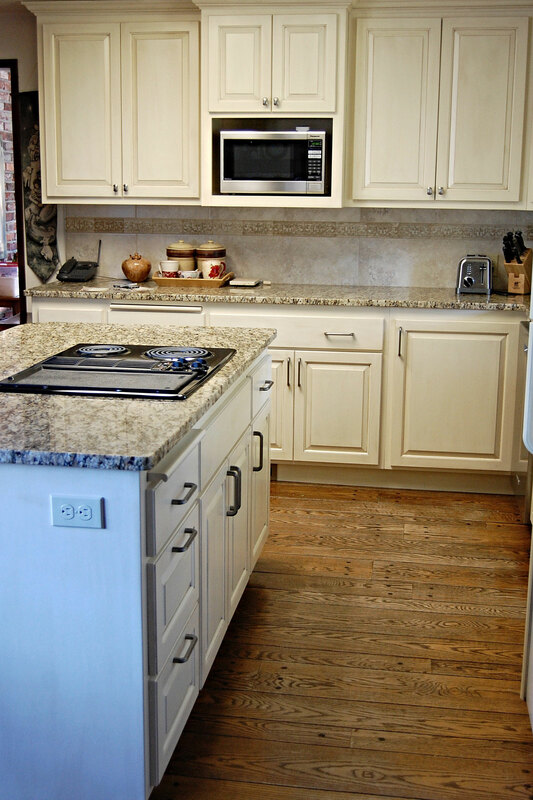 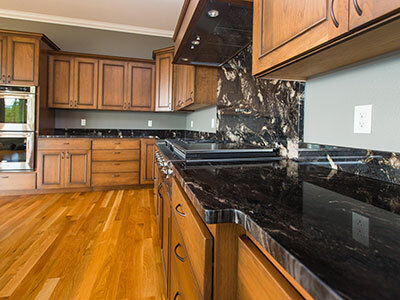 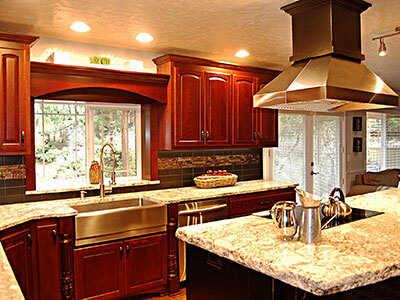 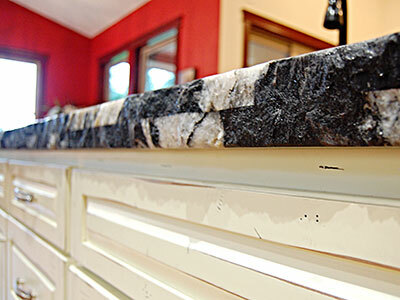 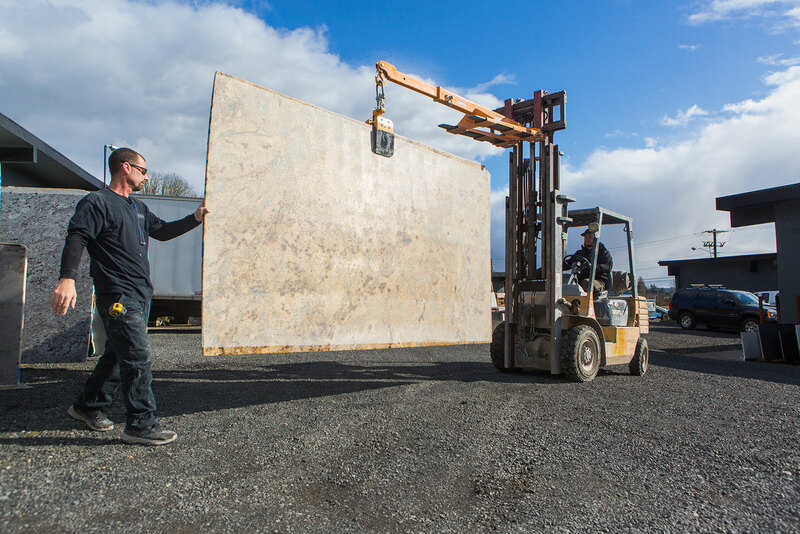 Lifetime Granite also provides custom countertops for commercial projects. 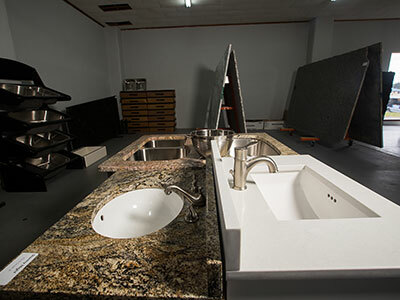 Whether you need a durable food preparation surface for a commercial kitchen or an elegant counter for your storefront, our experienced team can assist you with your business needs. 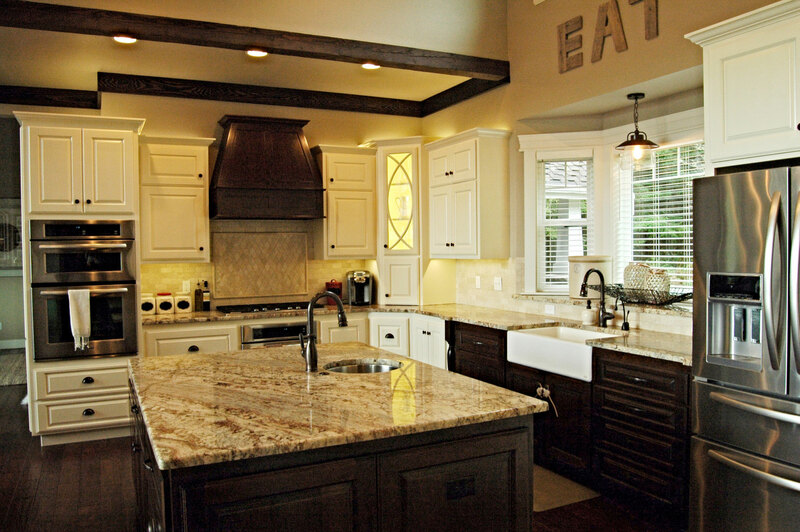 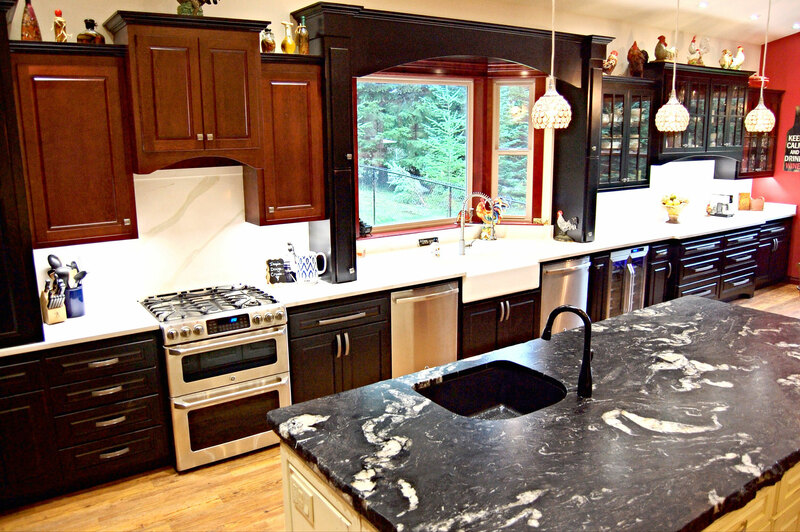 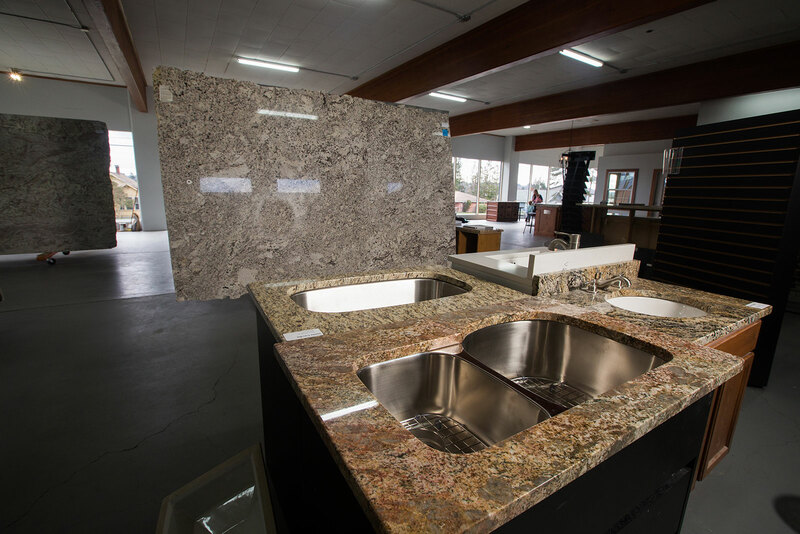 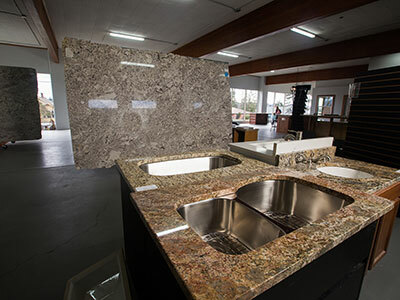 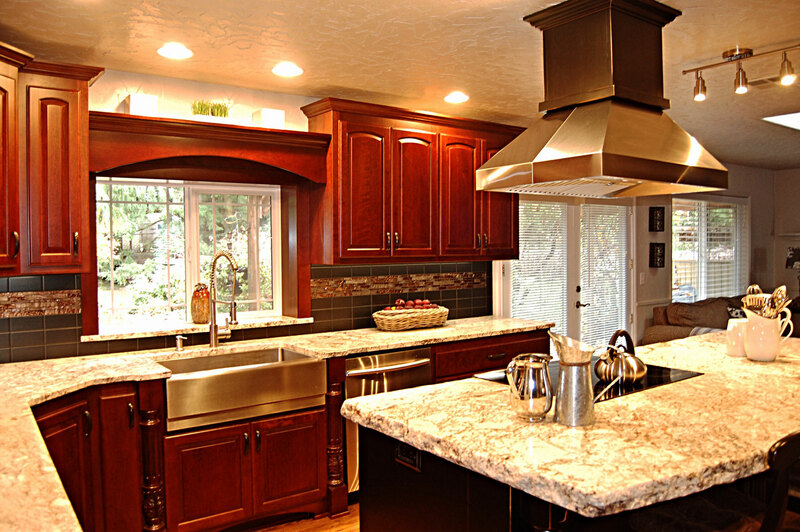 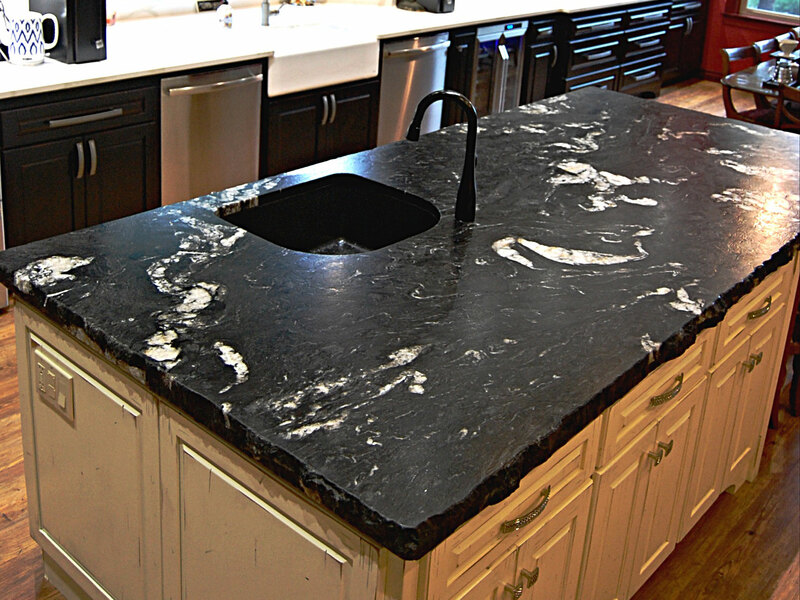 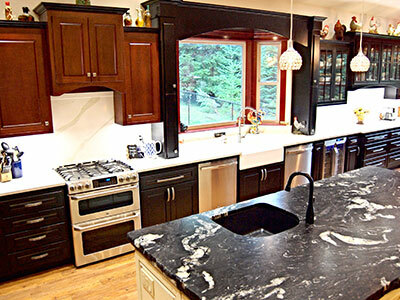 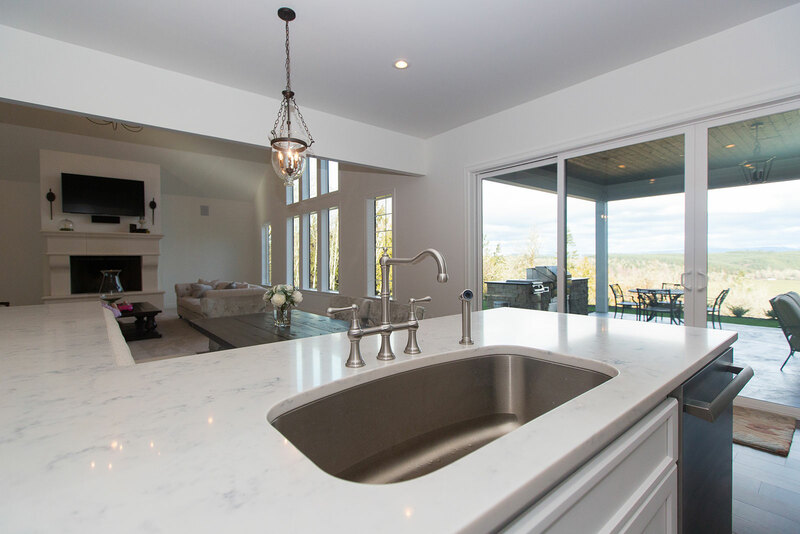 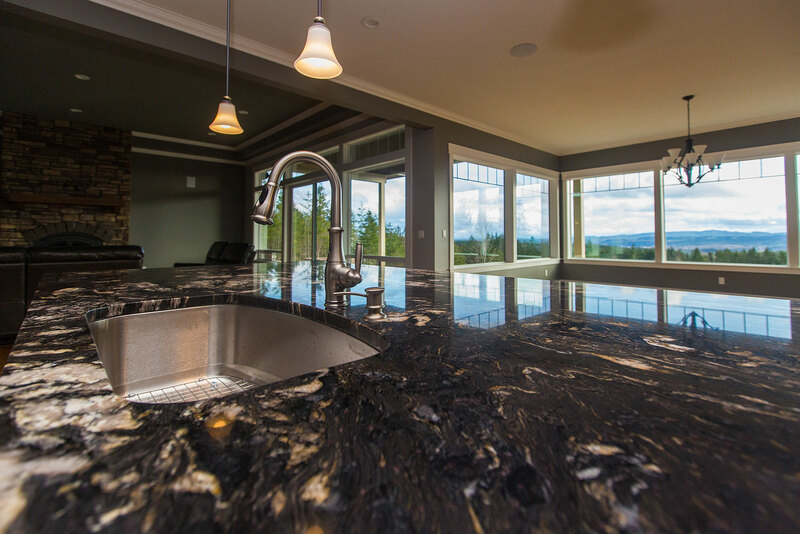 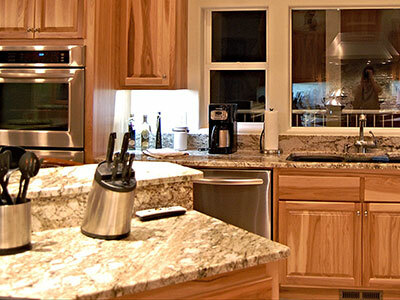 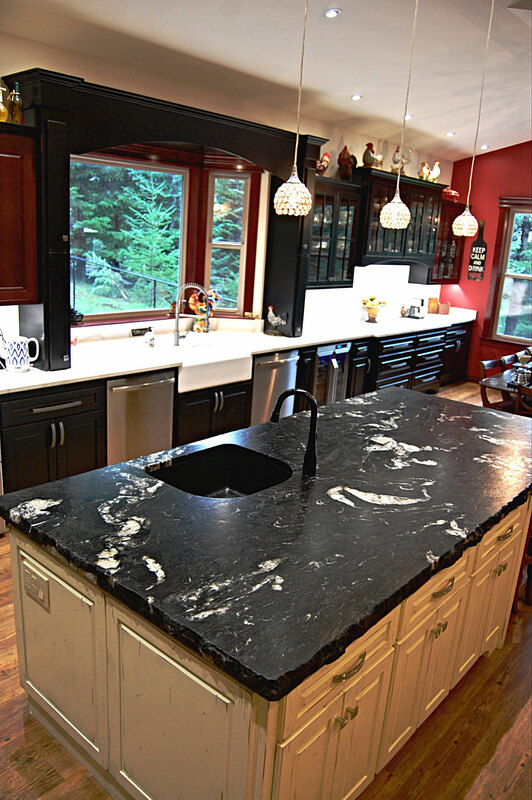 Lifetime Granite also offers undermount sink options to complete your kitchen or bathroom remodel. 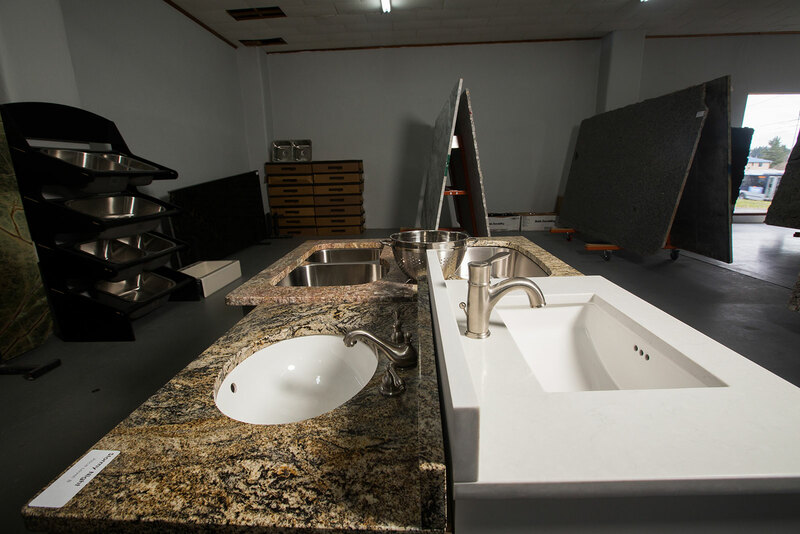 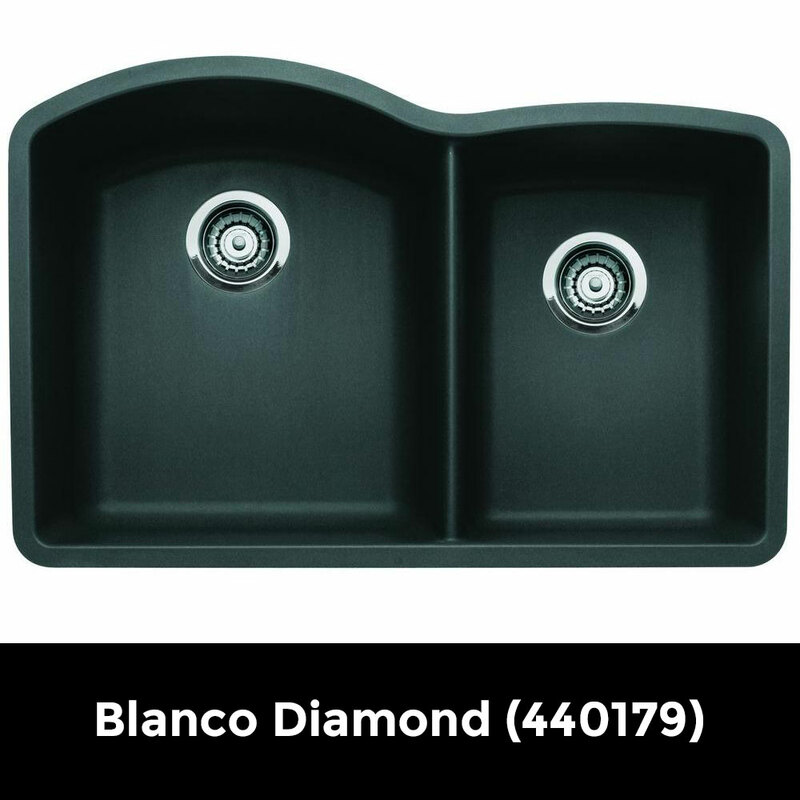 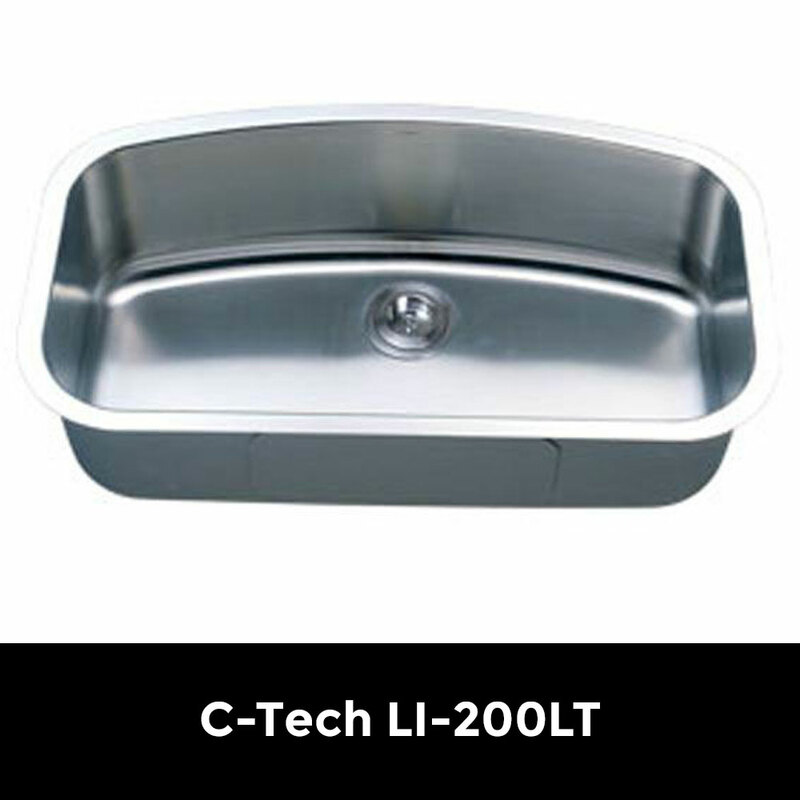 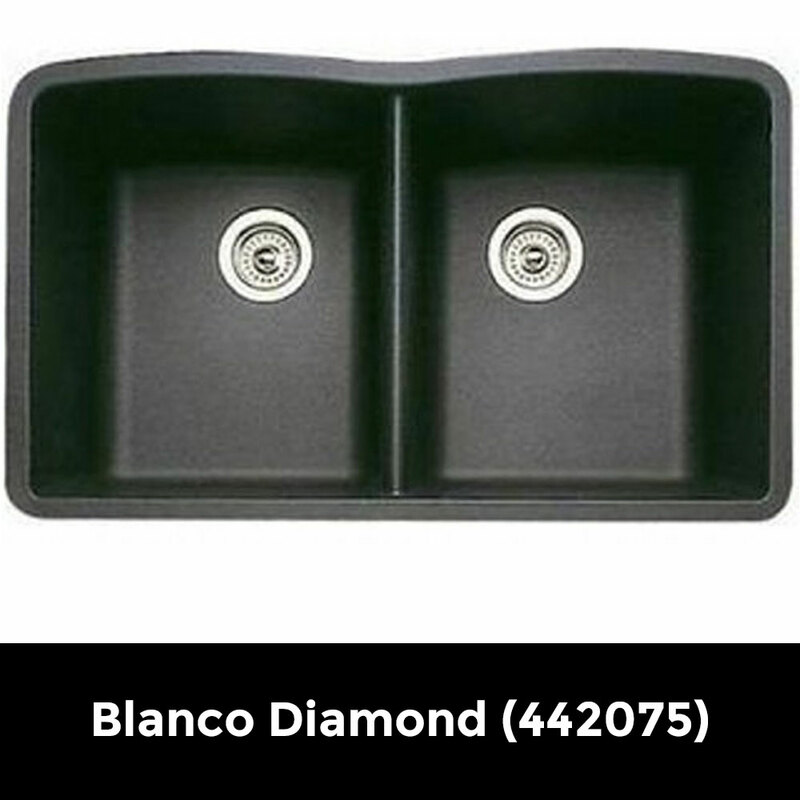 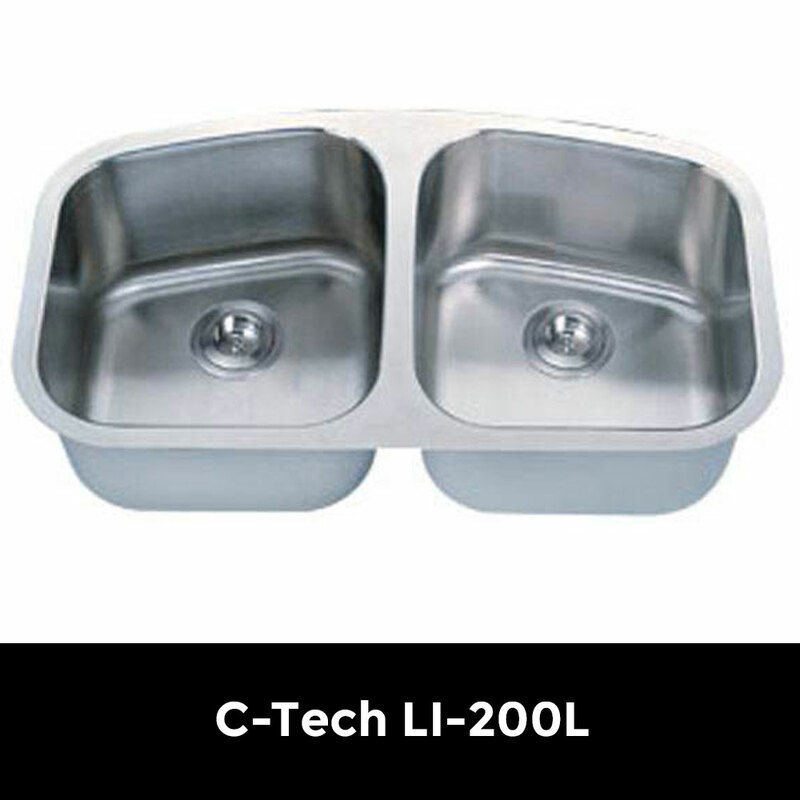 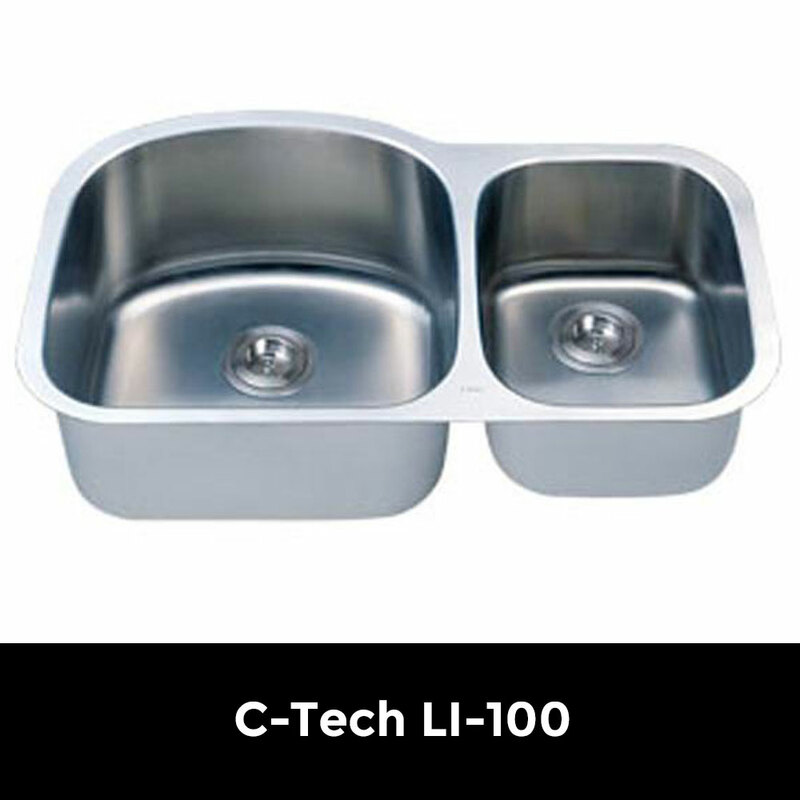 Choose from single, equal, or double proportional stainless steel basins in our showroom, or we can also order an apron or a granite composite sink for you. 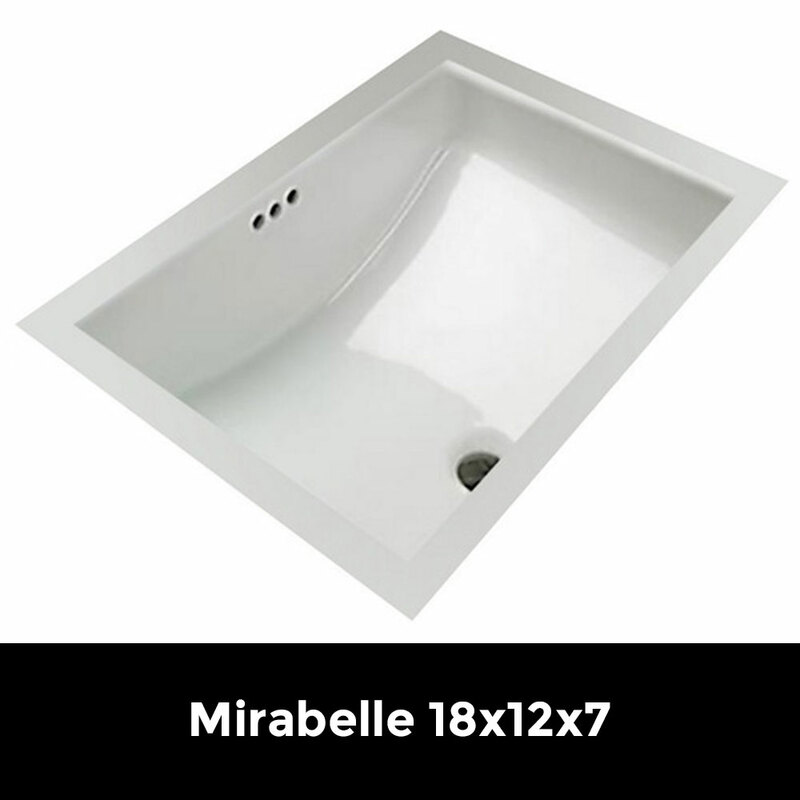 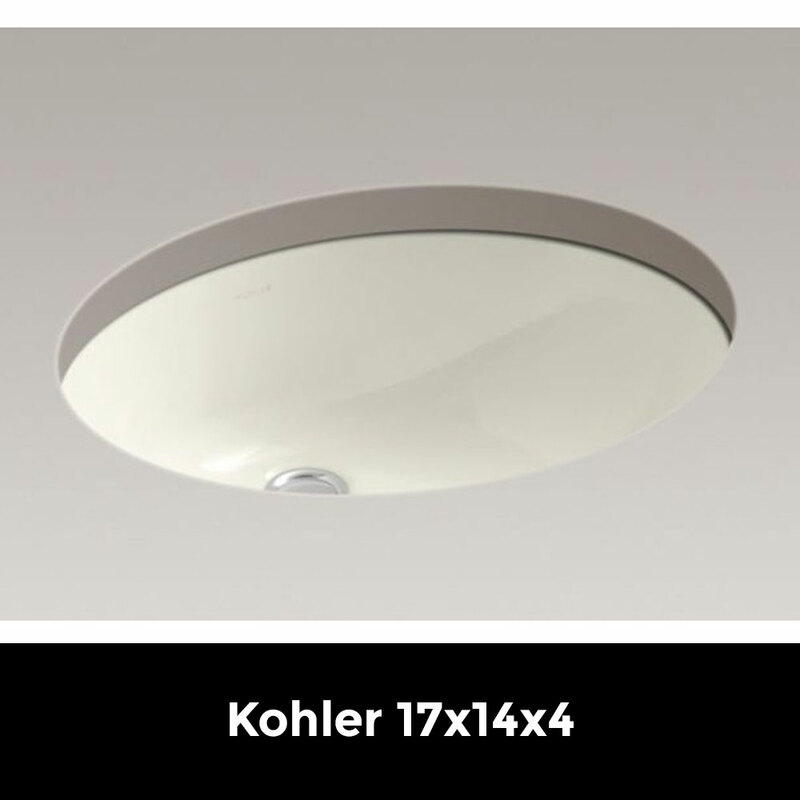 For bathroom remodels, consider a classic Kohler oval sink or a modern Mirabelle 1812 to complement your new granite or quartz countertops. 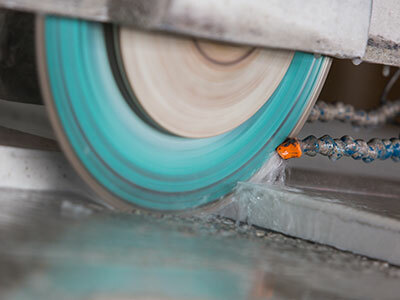 It takes robust tools to cut through massive stone slabs. 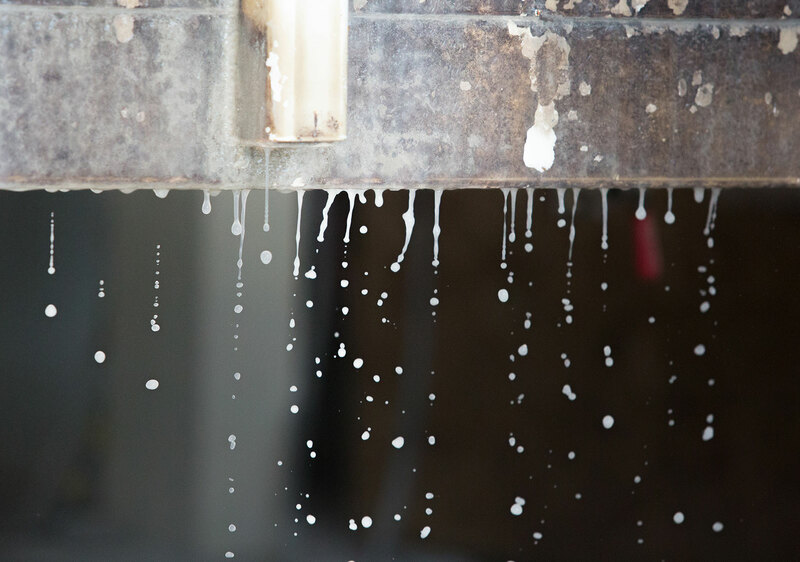 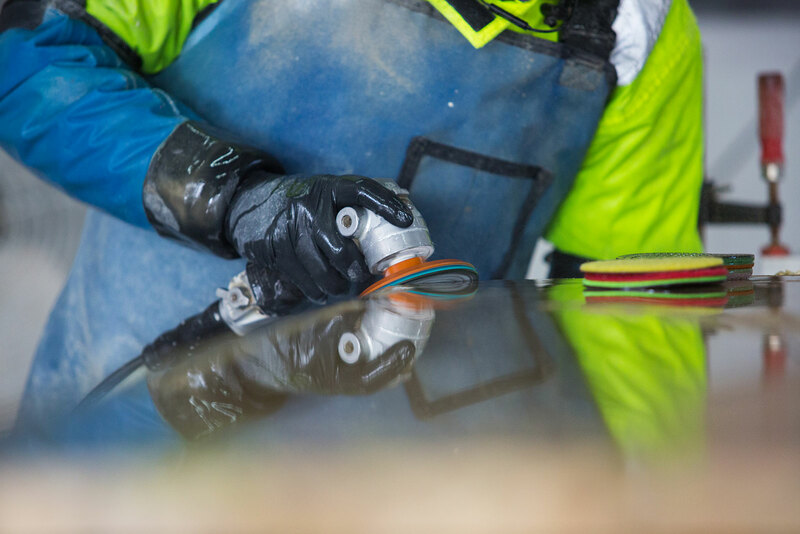 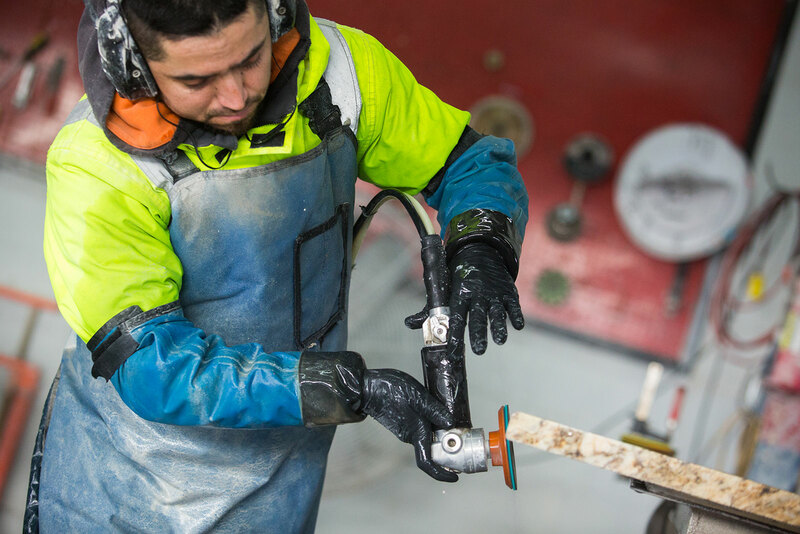 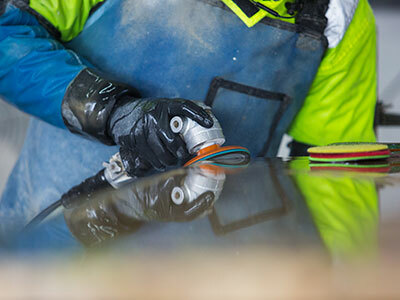 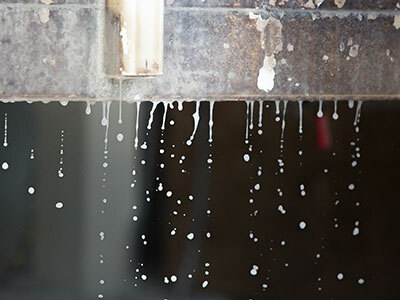 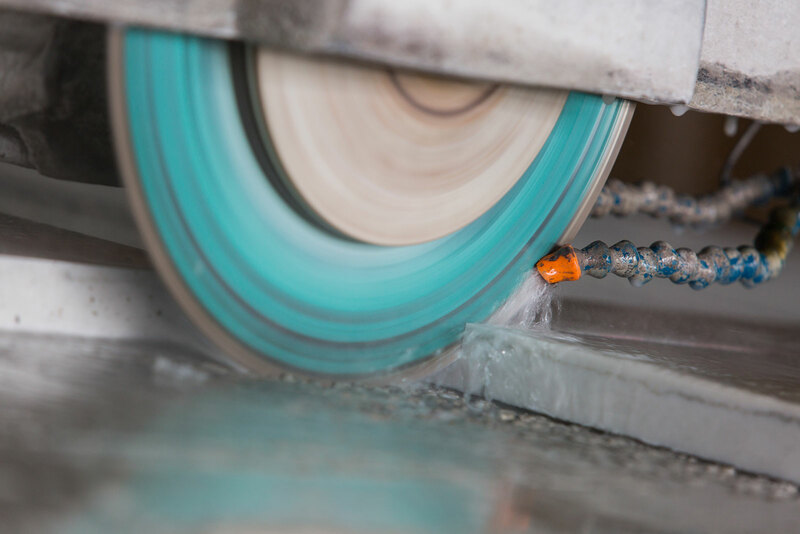 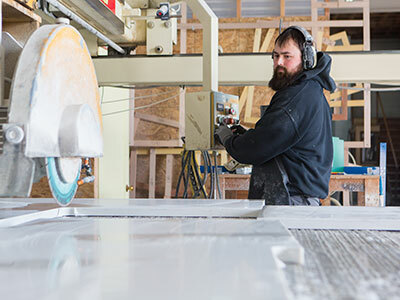 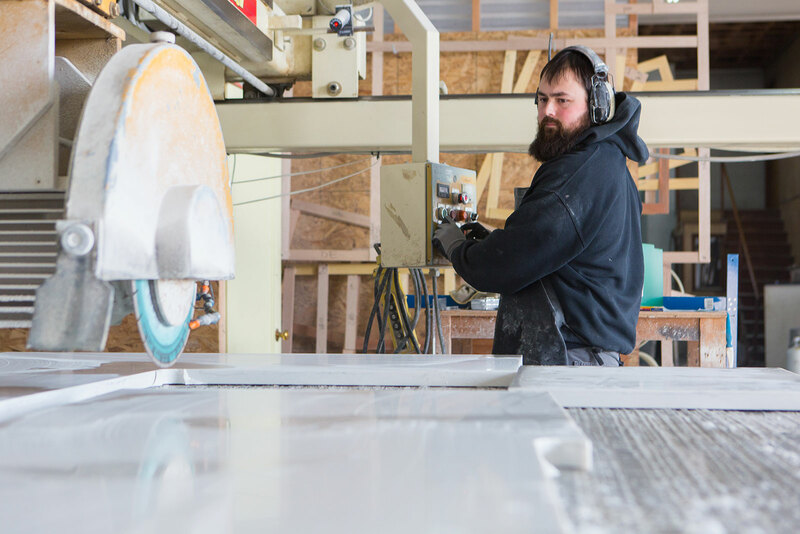 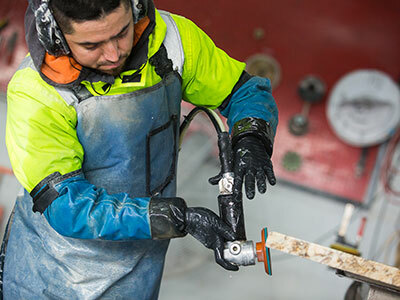 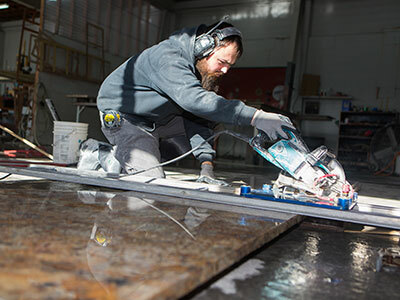 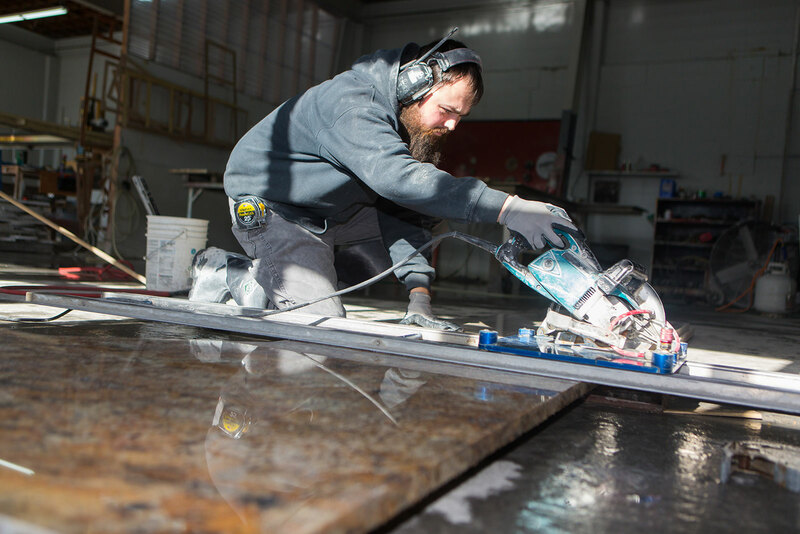 Our bridge saw, pneumatic chisel, and other fabrication equipment is up to the task of carving out countertops to fit your precise dimensions.